protect the pipe from the weather and hit foreign objects. When assembling Dymnikov applies only colored rivet in color products. that provides a smooth toe-winter snow, but you can increase or decrease the angle. 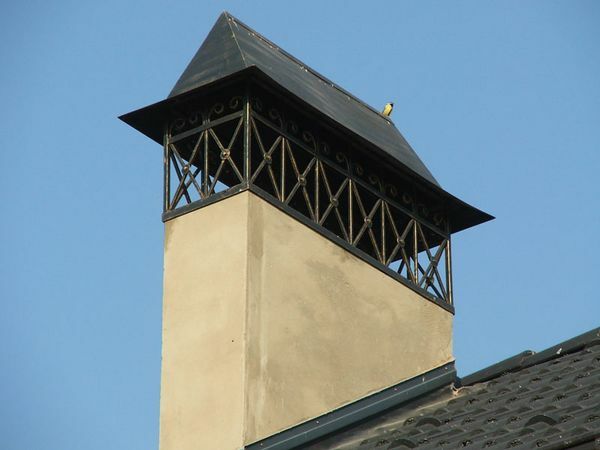 Each flyugarka has a drip edge or outlet of water to the chimney is not dripping with water, thereby pipe gets extra protection from rain and destruction. Mounting flyugarki an easy way to extend the life of the pipe. 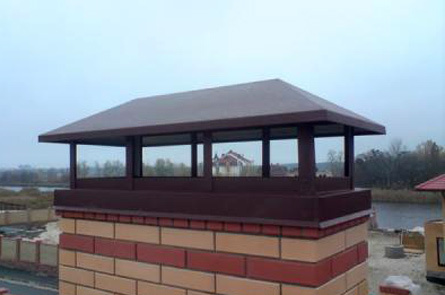 To protect the chimney from birds, as an option for flyugarki, we propose the installation of protective metallic zinc-coated grid. Entrust manufacturer smoker professionals. Flyugarka is an artistic creation tinman, which gives additional krastotu and finished look to your home.